Shedding for the Wedding: Getting into Shape for the Big Day! With our wedding day around the corner, we understand that brides can face all new sources of stress and anxiety! Thoughts may run through the bride’s head including food choices or quality, the ceremony and reception venue, the guest-list, bridal party dresses, hair and make-up looks for the bridal party, etc. It’s common today for many people to emotionally binge or turn to food during times of stress. This however is not a good habit for the bride to develop leading up to the wedding day! Not only would a typical bride want to stay in shape and look her healthiest on her wedding day, but she should also bear in mind the importance of regular dress fittings for her wedding gown! 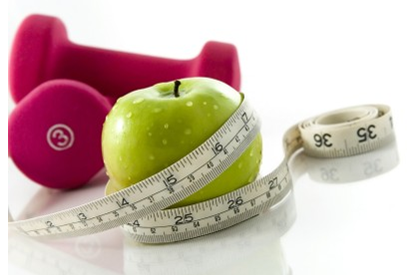 Being realistic is the first step to developing a healthy diet, exercise, and weight loss regimen. Not everybody needs to be a size zero on their wedding day, and it is not healthy to strive for that either! Set a goal that would be reasonable and realistic for your body type. Also, setting benchmarks to keep you on track with your healthy eating habits could be helpful in reaching your fitness goals. Try not to focus on the number on the scale, but how you look and feel. The way your clothes fit can sometimes be a much better indication of how your weight-loss routine is working and can make you feel better about yourself regardless of what the scale says. Your body takes about four weeks to show results, so keep this in mind if you don’t see an immediate difference! Exercise is one of the best stress busters, so when you feel the wedding countdown pressure building, that’s the ideal time to hit the gym! Cardio is one of the best ways a bride can get into shape. Three to four 30 minute sessions of cardio per week are adequate to maintain a healthy weight. If weight-loss is your goal, you can up to intensity of your cardio workouts by incorporating various machines (treadmill, elliptical, stair-climber, etc.) as well as higher resistance and use of weights. These strategies not only help to melt the pounds off, but help you increase muscle tone as well! Not only exclusive to brides, we ALL need to keep in mind that in order for us to stay healthy, not only do we need to exercise, but we need to eat healthy. Staying away from greasy, fatty foods is a great start, as well as minimizing your sugar intake. In the days/weeks/months leading up to your wedding day, make an effort to increase your daily servings of fruits and vegetables as well as healthy sources of protein and fiber such as fish, chicken, and whole grains. These simple steps can not only help you look better but feel better as well! 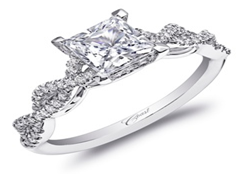 If the bride is determined enough to get into the best shape, she needs to stick to her benchmarks and ultimate goal. 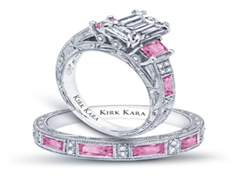 On your wedding day, the focus is on YOU!! Make sure you look and feel your best while you’re in the spotlight! On Monday March 4, The Westwood welcomed the Union County Republicans for their annual convention. 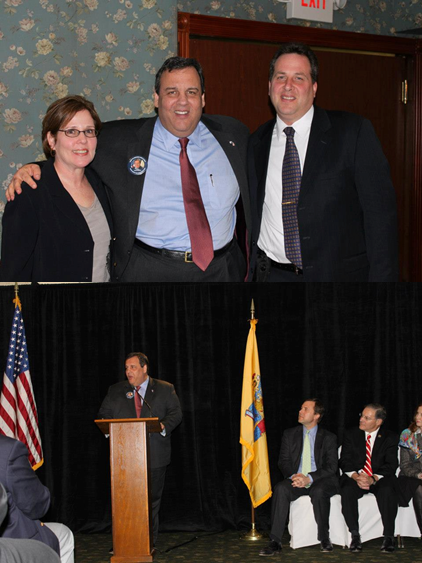 Our staff was honored to welcome Governor Chris Christie to our facility as the keynote speaker for the evening. Over 400 people were in attendance for last night’s event, including esteemed members of the GOP. Our Cynthia and Rose Ballrooms were transformed to accommodate the huge event, including a large backdrop and podium for the speakers. Governor Christie’s hour long speech touched on many issues that affected New Jerseyans throughout his term including taxes, health benefits, pensions, and the recent Super Storm, Hurricane Sandy. He shared the sobering statistic with the audience that at that very moment, 40,000 New Jersey families were still displaced from their homes because of the storm. 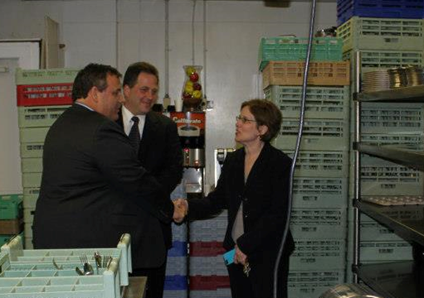 Following his speech, Governor Christie exited the building and shook hands with each of our staff members in the kitchen. It was an honor to host the Governor at our facility, and we hope to welcome him back again in the near future!